Over 200 organizations ask Trudeau - Where is the Ombudsperson? “We, the undersigned activists and organizations, have been working for many years defending the human rights of communities affected by the activities of natural resource extraction companies around the world. 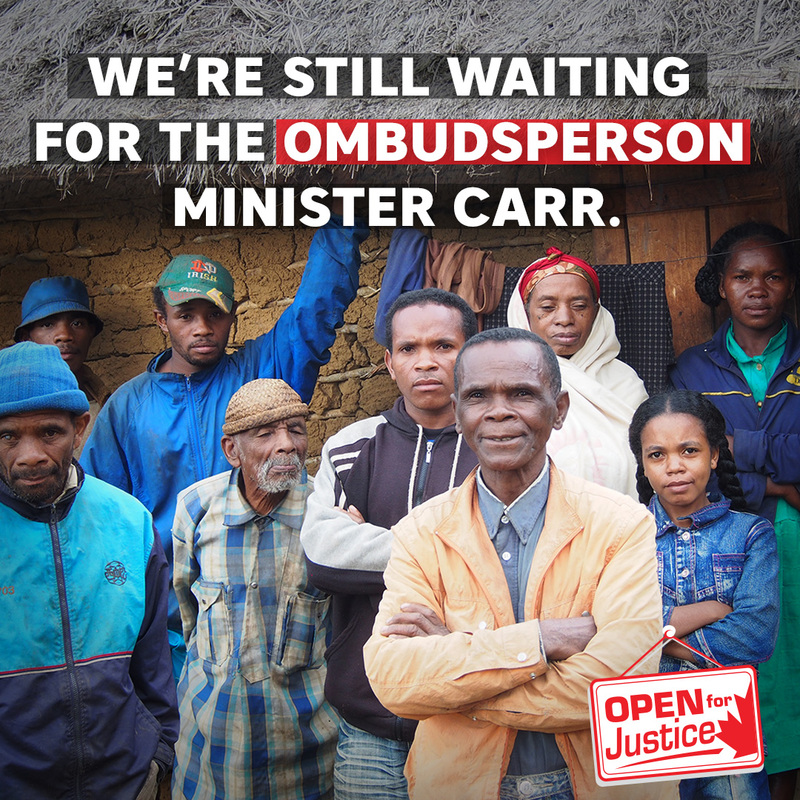 We ask you to take action quickly to name the ombudsperson, and to ensure that this office will have the power and resources to independently investigate, report, recommend remedy, and oversee the implementation of remedy for victims of human rights and environmental violations caused by the activities of Canadian mining companies abroad,” states the letter. Read the letter that was sent to Prime Minister Trudeau. If you haven't already done so, use our click to call tool to take action.